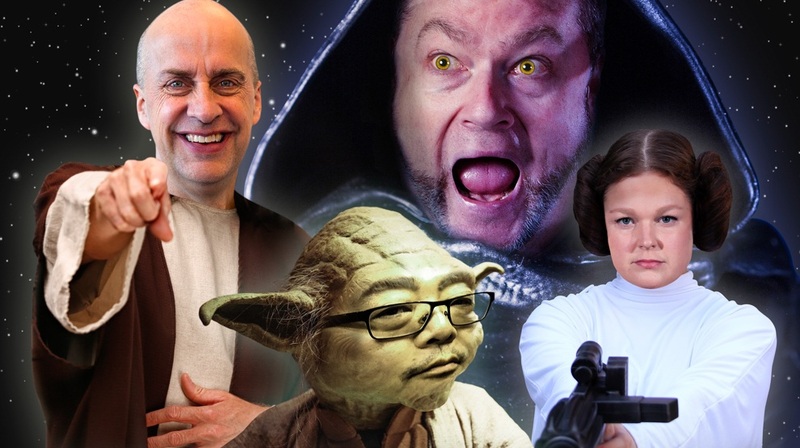 Sci-fi meets farce in Improv Wars: The Laugh Jedi, a new production from Vancouver TheatreSports. 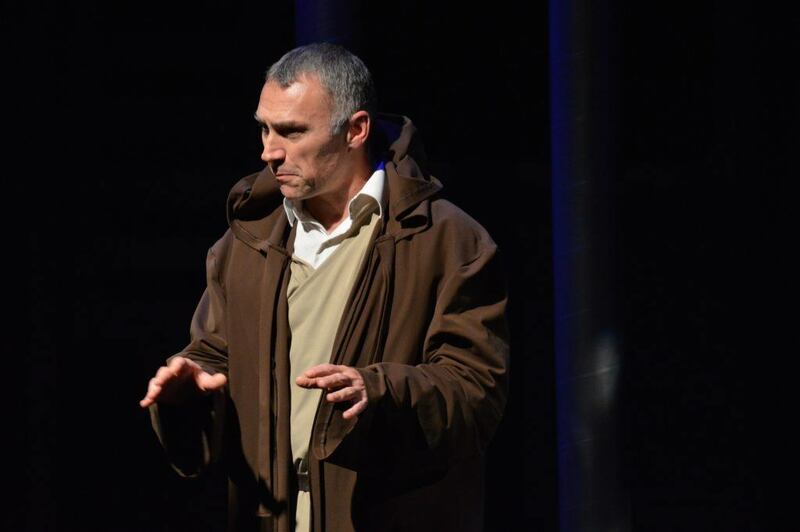 The Laugh Jedi is a unique yet familiar program of improvised comedy at Granville Island’s Improv Centre, running from now until November 18. ‘Improv’ – for anyone unfamiliar with the format – is a genre of comedy where the performers are given a very loose idea of the subject matter and then everything else is made up on the spot. Whether through audience participation or simply interacting with the other comedians on stage, no-one ever knows exactly how things are going to pan out. Improv isn’t for everyone, and neither is Star Wars, which begs the question: if I’m new to both elements, is this the show for me? Hosted by the excellent Bill Pozzobon, the audience is immediately grabbed by the shoulders and thrust into the heart of the first half of the show. This is a truly interactive performance, so be prepared to shout out ridiculous suggestions as the cast battle it out to become the ‘Laugh Jedi’ in a series of improvised games and challenges. 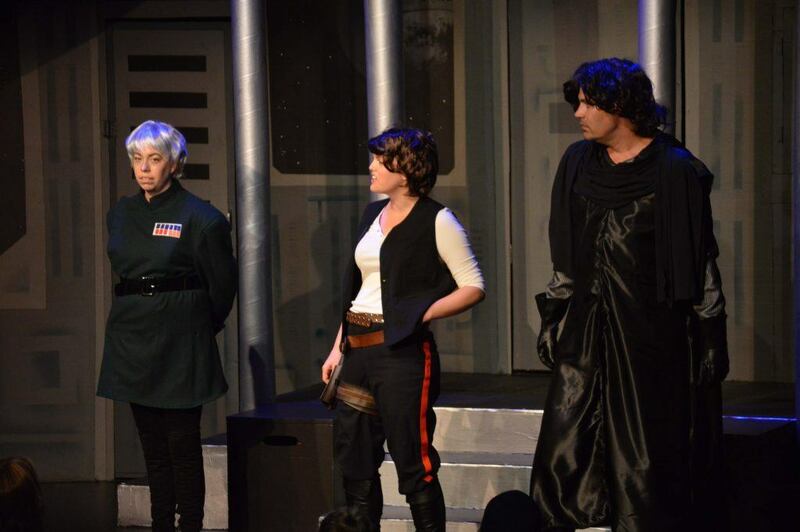 Six infamous Star Wars characters compete for the audience’s laughter and affections, with the loser of each round (the one who got the weakest applause) being unceremoniously ejected from the show. This continues until the comedic competitors are whittled down to the final two. If you’ve ever watched Whose Line Is It Anyway? you’ll know how funny this can be. Whether using tried and tested ‘tag-out’ games or asking members of the audience to control every tiny movement of the actors on stage, the standard of quick-thought and comedy-timing is very high from the experienced and talented cast. The first half of the show is very much bite-sized chunks of improv: canapes of comedy which keep the story steadily progressing as the laughter ebbs and flows. The second half draws more on the rich characters, locations and themes of the Star Wars films, and yet feels a little pedestrian in comparison. Perhaps the co-creation of the storyline and protagonists is less polished than during the first hour, however there are still definite high points, particularly the untimely death of a girl scout following a cookie supply issue. In parts, it’s very funny; in others, it can fall a little flat, but that’s improv – no two nights are the same, and much of the performance relies on an inventive and engaged audience as much as it does the performers themselves. One of the characters felt a little one-dimensional – through fault of the character, rather than the improviser. And some of the exchanges feel a little stiff; it’s the first night, and that’s to be expected. Is this show for you, then? Admittedly, some of the Star Wars jokes will lose some of their sparkle if you’re not an avid fan of the franchise, However, an in-depth knowledge of all the films, novels and extended universe is certainly not a prerequisite for enjoying the evening. The silliness transcends the sci-fi elements. The Laugh Jedi is a fun way to spend the evening, regardless of whether you’re more accustomed to millennials than Millennium Falcons. And with a well-stocked bar, a rotating cast and an entirely new performance every night – if you really enjoy yourself, there’s nothing stopping you from making a return, Jedi.